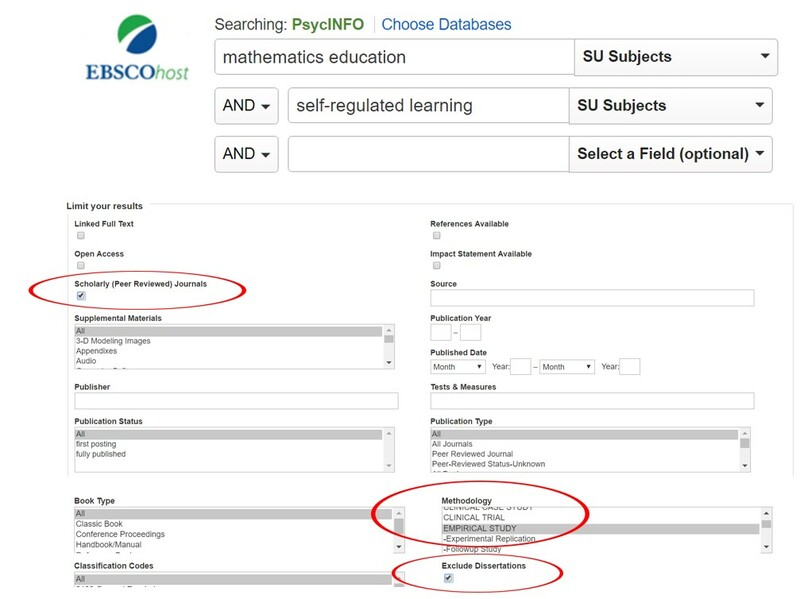 Techniques for searching ERIC, PsycINFO, Google Scholar, Nexis Uni, and the EBSCO system. 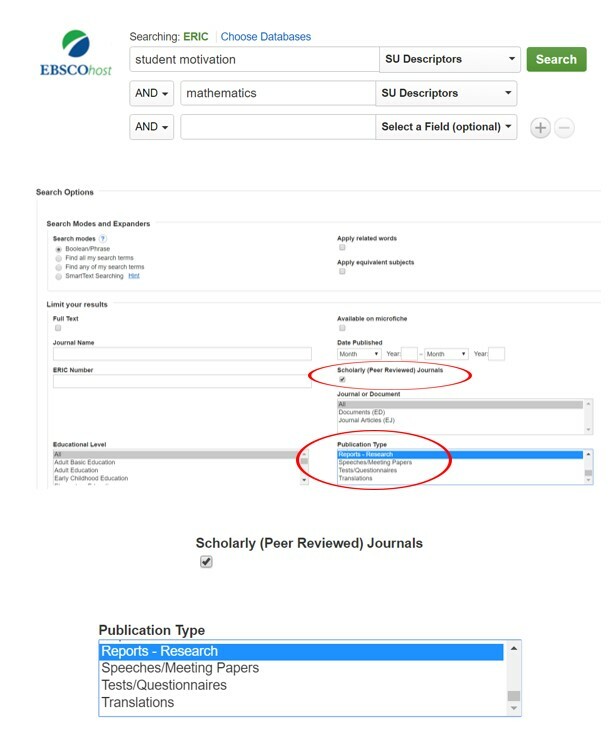 Check the Scholarly (Peer Reviewed) Journals option farther down the page. Use the "Publication Type" option at the bottom of the search page and limit your search to the option "Reports - Research". Use the "Methodology" option at the bottom of the search page and limit your search to the option "EMPIRICAL STUDY". Check the Exclude Dissertations box. With PsycINFO you can even limit to the type of study e.g. QUALITATIVE STUDY, QUANTITATIVE STUDY, LONGITUDINAL STUDY, etc.